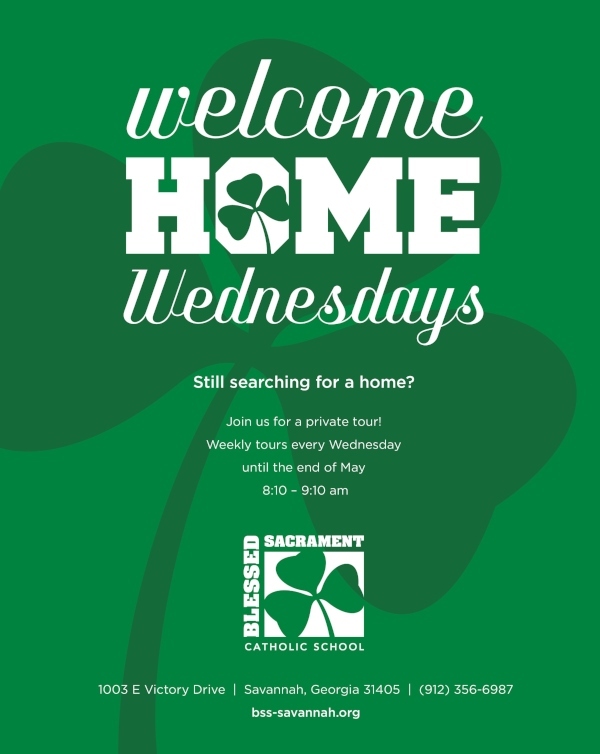 If you are still looking for a home to educate your child, please call and schedule your tour today of Blessed Sacrament School in Savannah. Still accepting applications for the 2019-2020 school year. Limited space available. Weekly tours are offered Wednesdays until the end of May, 8:10-9:10AM. Call 912.356.6987. This entry was posted on Tuesday, April 9th, 2019 at 12:49 am	and is filed under Blessed Sacrament Catholic School, Development/Education, Pre-K Programs, Schools/Childcare. You can follow any responses to this entry through the RSS 2.0 feed. Both comments and pings are currently closed.